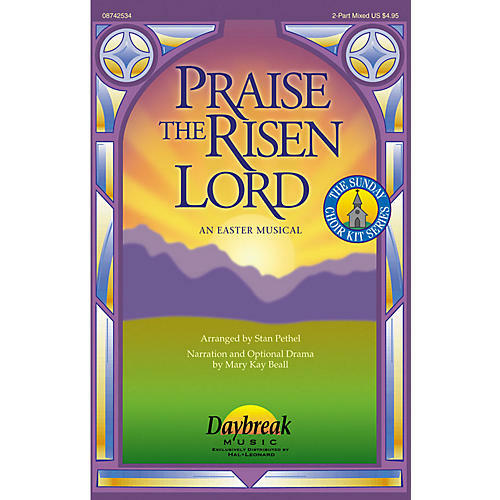 From the Sunday Choir Kit series comes a musical for Easter. With Stan Pethel's signature vocal arranging and Mary Kay Beall's creative worship resources and narrative, this musical meets needs for a variety of choirs and settings: adult, youth, senior adults, and more! The 20-minute length makes it easily-prepared and it includes two Twila Paris favorites: He Is Exalted and We Bow Down. Available: 2-Part Mixed, ChoirTrax CD, Complete Kit, Preview CD, Preview Pak, CD 10-Pak.